Have You Ever Picked A Carrot? : Have You Ever Picked A Raspberry? 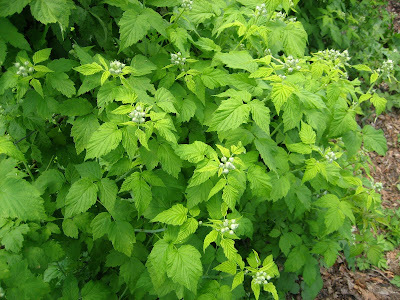 much the raspberries have developed since beginning to flower in April. The raspberry leaves have lots of nutrients and can be consumed as a tea as well. Remember, there is no trash, only potential. The technique is simple, yet satisfying. 2. Gently pull the raspberry off of it's receptor. There are a variety of raspberries being grown on the farm including black, red and golden, some of which still have not formed just yet. The next few weeks are a good time of the year to get your fresh, local raspberries from a farmers' market. Even though you can buy raspberries all year round at a supermarket, always remember that this doesn't mean they are locally grown so if it's the dead of winter, the raspberries have probably traveled a long way to get to you and being delicate fruits, many pesticides and other preservation methods are going to be needed to transport them across the country or even across the globe. Try some locally grown raspberries now that they are in season and see if you can taste the difference. Let us know what you think.